IBM and Red Hat have agreed to a $34 billion acquisition in an all cash deal. Red Hat provides open source software and services solutions for enterprise customers. IBM has been struggling lately as the stock has been underperforming its peers for several years. This acquisition of Red Hat by IBM is the third largest tech acquisition in stock market history and is the largest deal IBM has ever made. It is a hailmary pass for an IBM team that is desperately searching for revenue growth. Blink twice if you are afraid for your life, Red Hat. "The acquisition of Red Hat is a game-changer. It changes everything about the cloud market," said Ginni Rometty, IBM Chairman, President and Chief Executive Officer. "IBM will become the world's #1 hybrid cloud provider, offering companies the only open cloud solution that will unlock the full value of the cloud for their businesses. "Most companies today are only 20 percent along their cloud journey, renting compute power to cut costs," she said. "The next 80 percent is about unlocking real business value and driving growth. This is the next chapter of the cloud. It requires shifting business applications to hybrid cloud, extracting more data and optimizing every part of the business, from supply chains to sales." 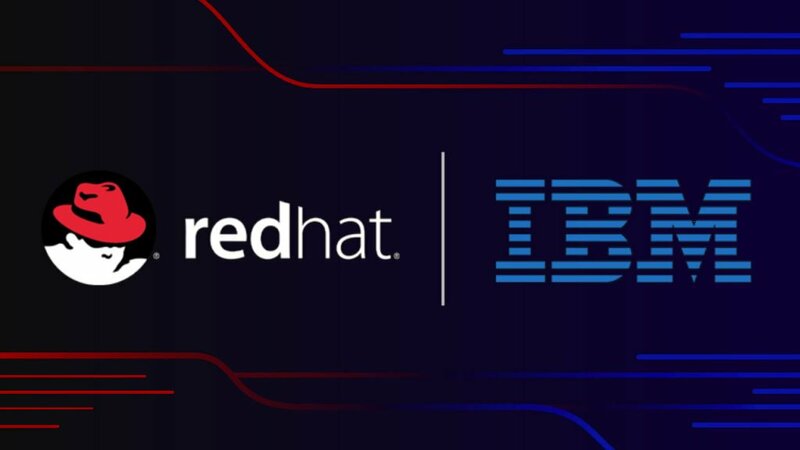 IBM stated in their press release that Red Hat will join IBM's Hybrid Cloud team as an independent unit lead by the current Red Hat (RHT) management team. The company expects the Red Hat acquisition to "accelerate IBM's revenue growth, gross margin and free cash flow within 12 months of closing." IBM will also suspend its share buyback program in 2020 and 2021. This all cash $190/share deal is still pending Red Hat shareholder approval, and is still subject to regulatory approval. The acquisition is set to close in the second half of 2019. With the stock market in the middle of a massive correction, it isn't that surprising to see larger tech companies shopping for deals, and today's Red Hat deal is probably just the tip of the iceberg for tech mergers and acquisitions. I feel like that’s not going to go well for tech folks :( IBM hasn't exactly been fantastic with making their products easy to use/well licensed or cheap. Ugh... From a business standpoint I'm sure this is fantastic for now. Oh no! What will all those old ladies in purple dresses do now! ?